In a surge of hope, the artists from Nice Christine Lidon and Johanna Piraino, La Strada, Cinema de Beaulieu and SYRIA.ART association took the initiative to support the migrant 06 collective in their efforts with the refugees. The “Cabaret Solidaire” will take place on May 7, 2017 at 5:00 pm at the Cinéma de Beaulieu and is an artistic event in support of migrants living in the Maritime Alps. The program includes poetry performances, music, songs, dance, short film screenings and exhibitions of photographs. The funds will be entirely transferred to non-profit solidarity organisations. This event is supported by La Strada and the Cinéma de Beaulieu and initiated by Nice’s artists Christine Lidon (singer-songwriter-composer) and Johanna Piraino (singer-songwriter). 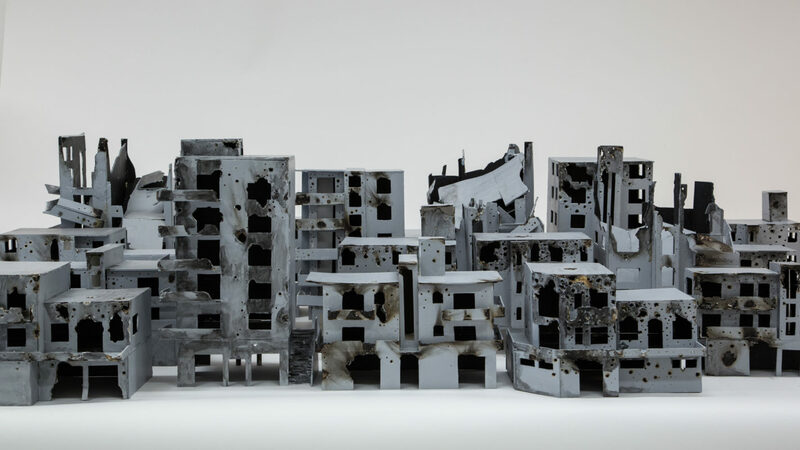 SYRIA.ART association highlights its presence with the screening of a short film entitled “Art is the Answer”, as well as a photo exhibition of the works of Syrian artist Nizar Ali Badr. When the Cinéma de Beaulieu offered us several dates to host the “Cabaret Solidaire”, we obviously chose May 7! We, artists and performers, have modestly chosen to support the citizen 06 movement with our own means, our poetry, our dances and songs. We support them because they have demonstrated that it is possible in our country to enforce the laws, in particular those protecting minor refugees. Certainly, to win they had to fight, but they acted for democracy and therefore for us! We have no ambition other than to unite, to share, to ensure that hope arises from our hearts. Like the phoenix, which is reborn from its ashes, refugees who have returned from hell have shown us that joy and life can take precedence over horror and bitterness. All together, artists, performers, cultural stakeholders, participants, volunteers, the public, La Strada, Cinema de Beaulieu and SYRIA.ART association… we pay tribute to migrants for their courage and the lessons of life they give us!